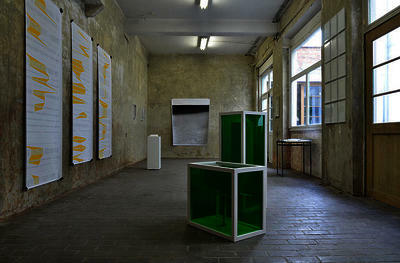 Gallery view of the inaugural exhibition at 'the Société'. Barrie Tullett was invited to submit work (A special edition of A Poem for Philip Glass) for the inaugural exhibition of a new gallery space for contemporary art in Brussels; the Société. 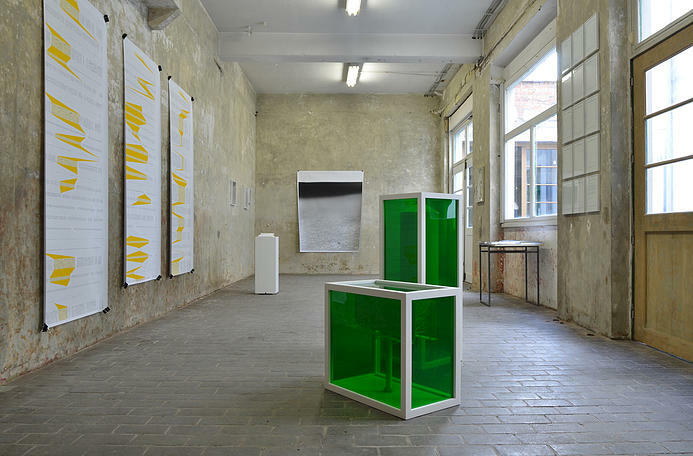 A former factory (the Société Bruxelloise d’electricité), built in the early 1930s, the first exhibition intends to create a dialogue between contemporary digital art and 1960 concept art, ‘through the common denominator of semantics’.